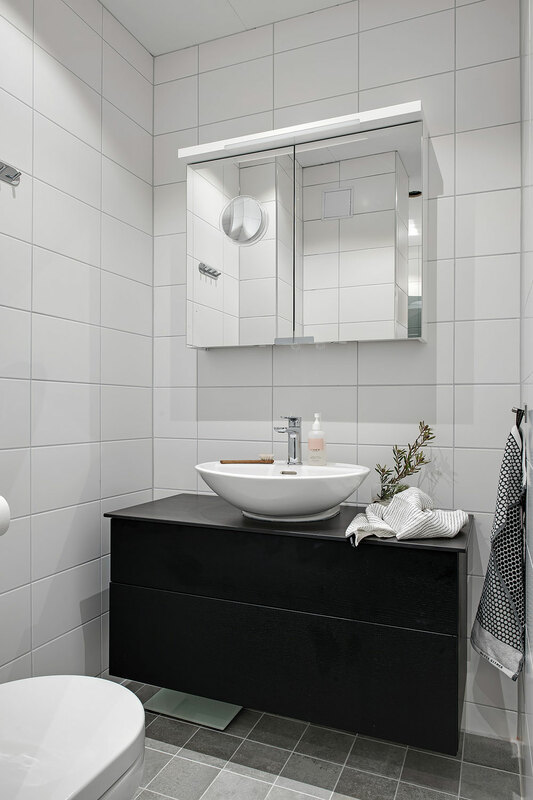 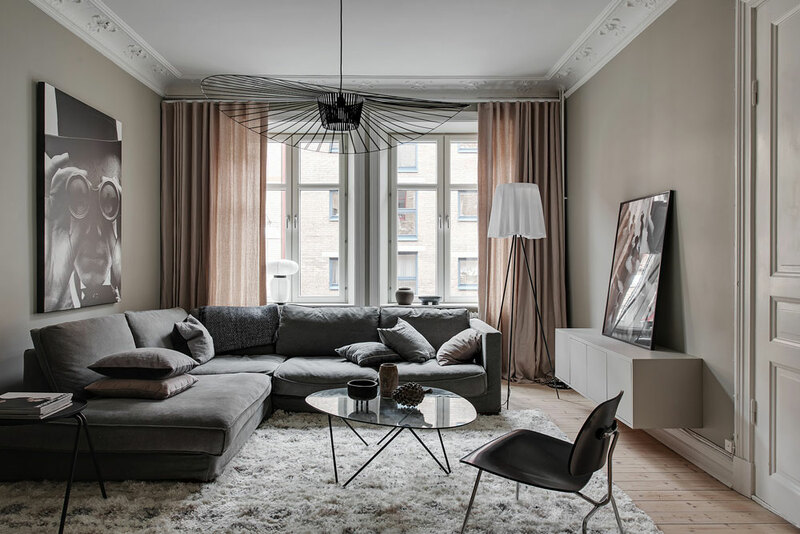 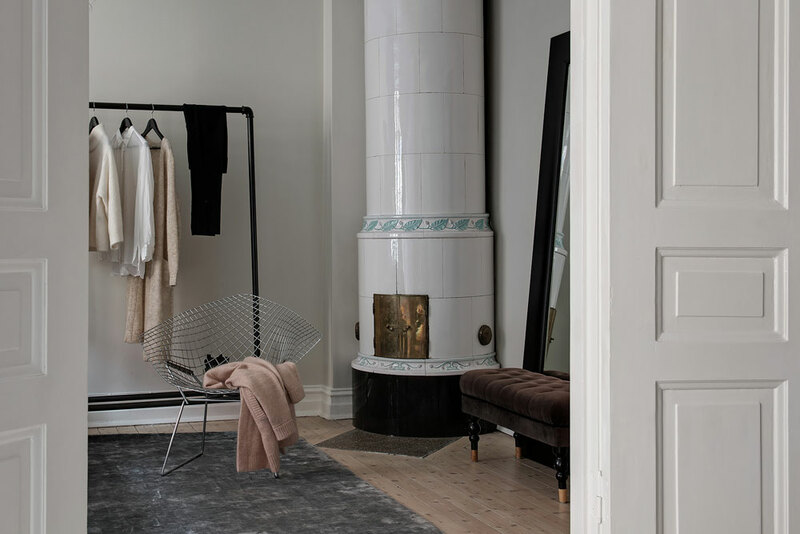 Beige, grey, black and white – That summarizes the colors you’ll find in this Swedish home. 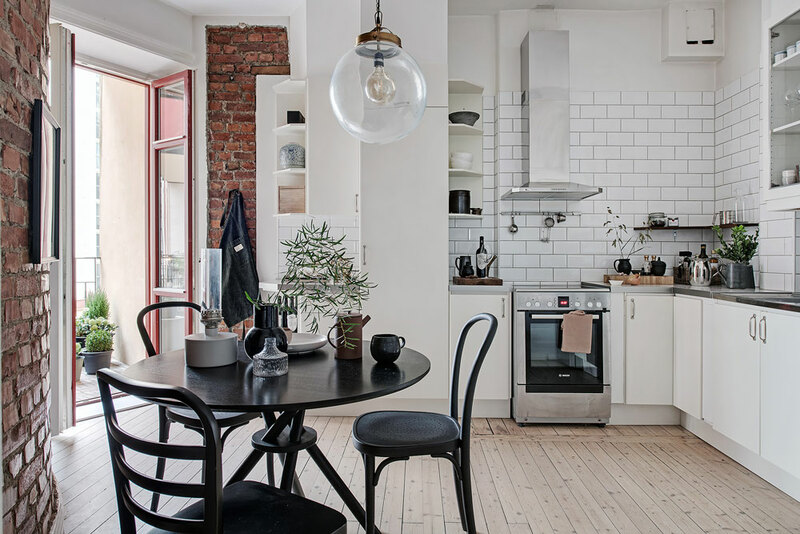 And it is anything but bland, thanks to a clever use of textures and materials. 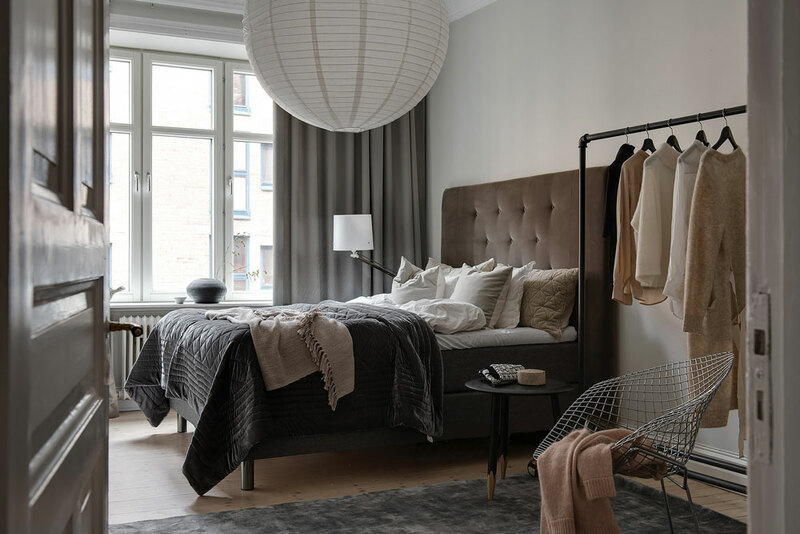 The look is varied and layered but still consistent and coordinated. 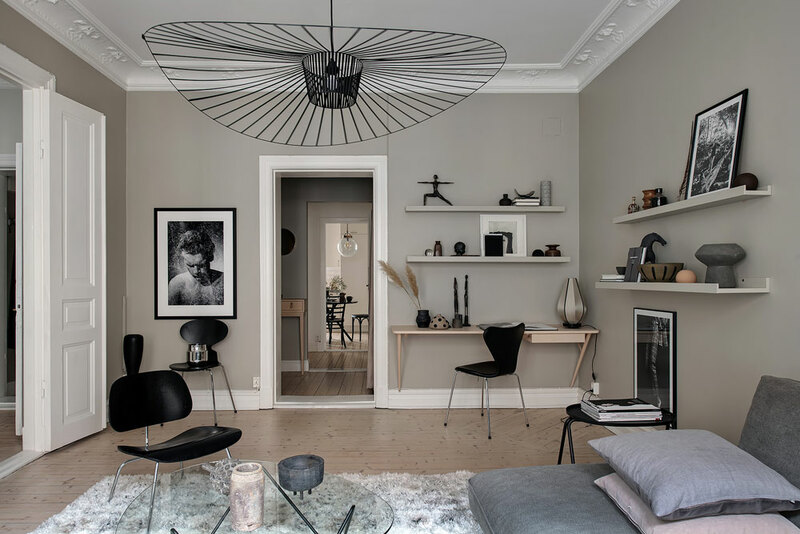 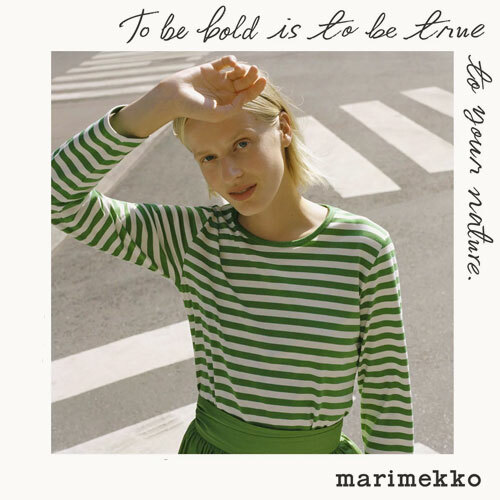 There are a lot of interesting design pieces, too, making my eyes dance around the interior: Lamps by Petite Friture and &Tradition, chairs by Arne Jacobsen, Harry Bertoia and Charles and Ray Eames, a coffee table by Gubi, etc. 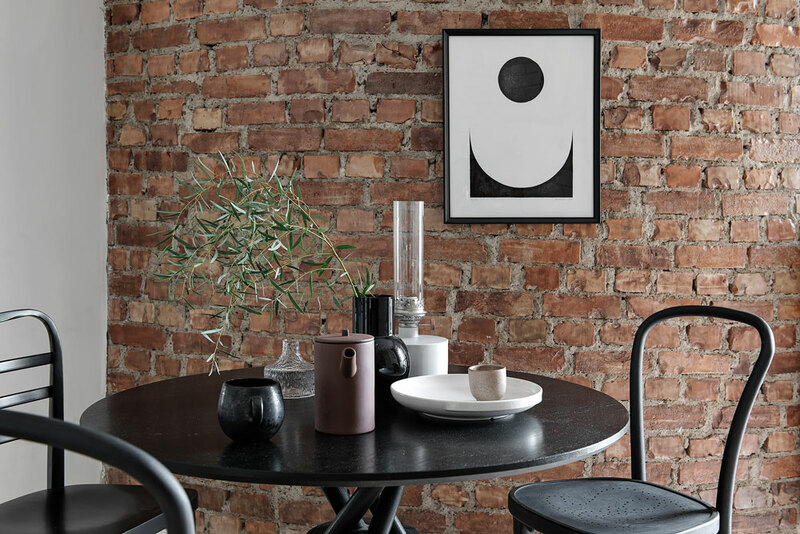 Notice that all prints are black and white; They make a great complement to an all-neutral space while adding a graphic punch and a contemporary gallery feel to the place. 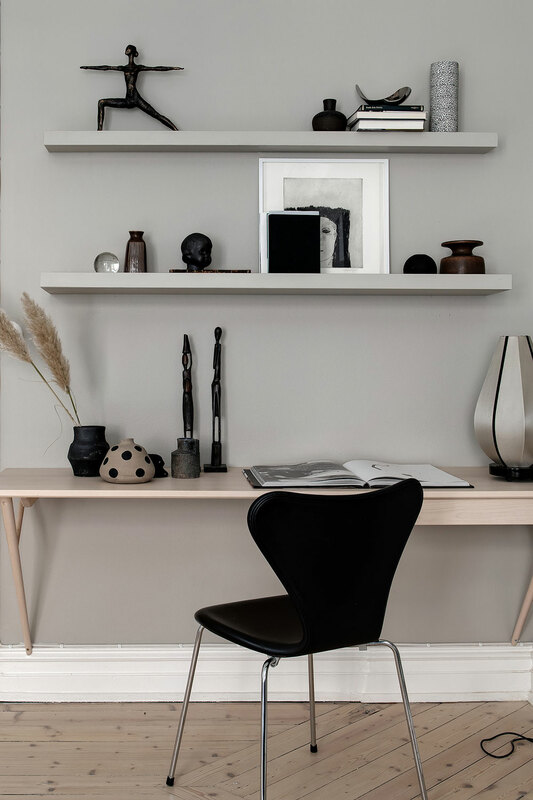 For great wall art, I like to shop at Designstuff, Opposite Wall, Simple Form or Grøn + White. 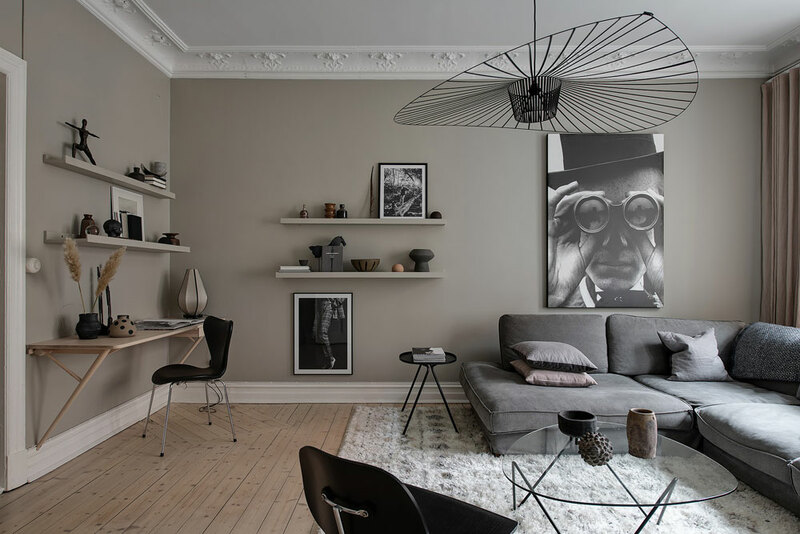 What do you like most about this space? 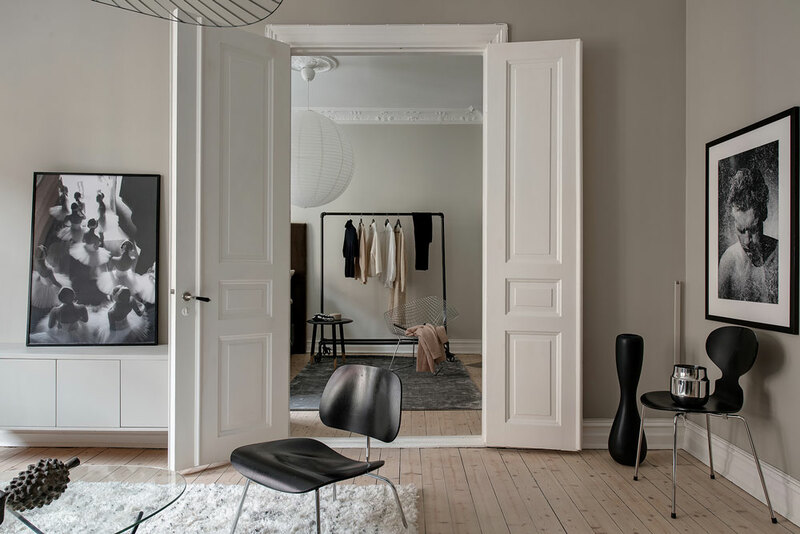 For more beautiful homes and Scandinavian interiors, have a look at my image gallery.